Remove DRM from iTunes Apple Music files. Convert at 20X faster speed with high quality kept. Keep Apple Music offline on iPhone XS Max, iPhone XS, ect. 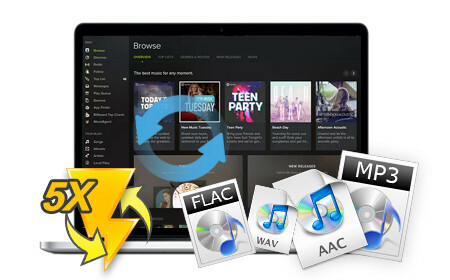 Convert Spotify music at 5X speed with lossless quality kept. Burn Spotify music to CD or share Spotify music via Email easily.